Get In Front Of The Right CDs, Right From Your Living Room. It doesn't matter where you live anymore. The gates have been left open! You can be seen by, and considered by, the top casting directors, agents and talent managers in the country from anywhere! The Self Tape audition revolution paved the way, creating opportunities for actors that never existed before, opening the door for all online connections between actors and the industry pros that need to see them. Actors Insite was a pioneer in bringing this opportunity to actors, starting almost five years ago. Today, we are the leader in the field, and growing! Our Industry Pros are the best of the best. They are all eager to help actors learn and grow as they make their way through a career that is full of uncertainty and obstacles. This month, top CD Adrienne Stern is on our panel of Industry Pros. She is ready to watch your demo reel or self tape and give you the kind of feedback that you can't get anywhere else. Q1. How has the casting process changed for you in the past few years with the recent explosion in self-tape auditions and online submissions for jobs? AS: Many clients enjoy the opportunity to review reels, and self tapes before a Skype meeting or audition , we all live in very busy times. Often a client lives out of town so its just a way to keep things progressing. Nothing truly takes the place of a live audition but with time constraints and budgets its a nice way to get to meet the talent. Q2. You see all the ways that actors try to get the attention of casting directors: social media, mailings, workshops, etc. What works for you? AS: Taking a class with me, a simple email, really thats enough and submitting yourself on Actors Access. Q3. What do you wish actors knew about the casting process that they may not know? AS: It's about getting in the room. Once you leave you have no idea what we are thinking so don't try to guess. It's not about getting that part it's about getting a part. Q4. It’s often said that CDs might watch only a few seconds of a self-tape or demo reel before making the decision to consider the actor for casting. If that is true, at least some of the time, what would you say to an actor who finds that prospect to be beyond discouraging? AS: I think as a seasoned Casting Director I can see/tell right away if the actor has potential for the particular role that I am reviewing them for. Q5. If you could be Czar of Showbiz for a day, and could instantly make any change you wanted in the way the casting process works, what change would you make? AS: Wouldn't it be fun if more then one actor could get the same part it would eliminate the disappointment. Set yourself up for success! 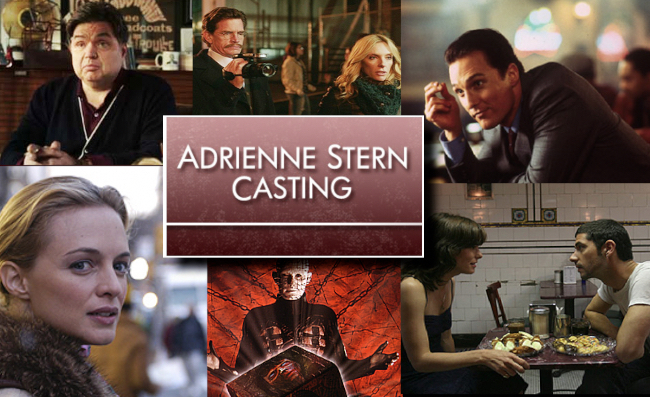 Become part of Actors Insite to learn from top industry pros like Adrienne how you can put your best foot forward. Members get better prices, but you don't have to be a member to participate. If you have any questions about how it works, drop a line to Brad@ActorsInsite.com.